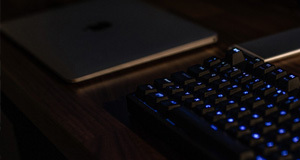 Ewaste fashion is still a relatively new industry, but with the need for creative disposal of the world’s ewaste growing at an alarming rate, let’s hope we’ll soon be seeing upcycled ewaste fashion on the shelves of every store. From the functional to fantastical, here are our Hot 11 picks of ewaste fashion inspiration. 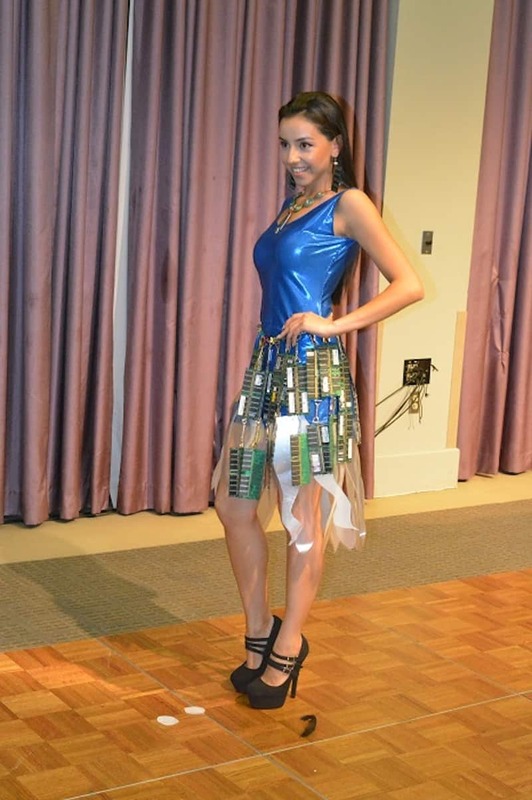 Texan designer Tina Sparkles just wanted to create an art project that showcased a creative way to utilise ewaste. 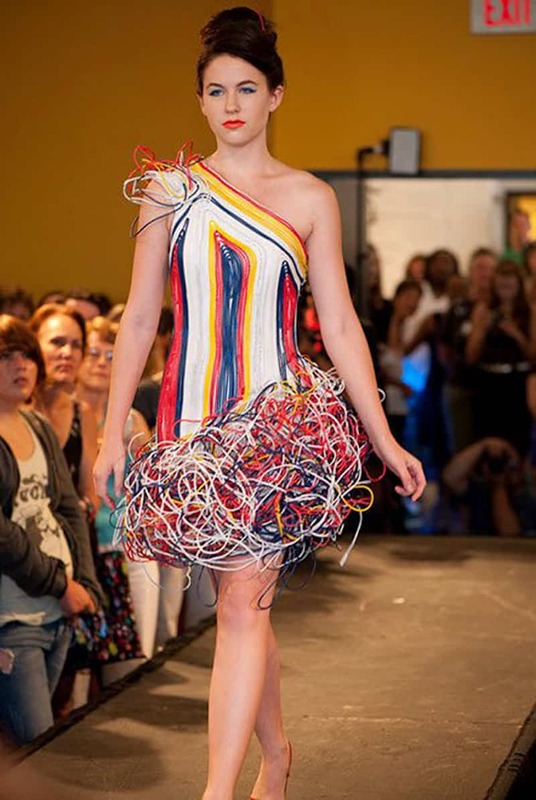 What she ended up with was this stunning off-the-shoulder concoction made from recycled wires. Weighing more than 13 kgs, it’s probably not going to be your first choice for a dancing dress. But we love it anyway. This circuit board necklace is the brainchild of young Parisian designer Sophie Cochevelou. Fabulously simple in its design, it makes for a striking feature piece, particularly when set against that pop of fuschia. Want. I don’t know about you, but I would totally wear this super cute combo by Louis Fournier IV of LF Cubed Designs. It’s made with recycled circuit boards and ewaste, and is guaranteed to help kick off conversation at a nightclub. Not too sure about sitting down, though. We’re definitely on the haute side of things here, with these beautifully made cape and earrings by designer Priyam Doshi. He’s used mobile phone screens in the basic design, with the cape consisting of stitched plastic films found in the screens of mobile phones. 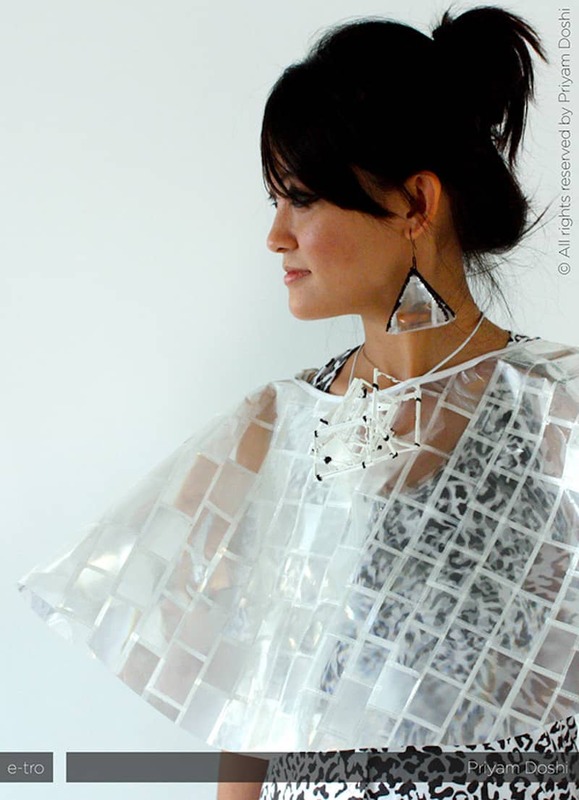 The earrings were made by stitching plastic films together, and were tessellated to form a tetrahedron. Inside the tetrahedron is more e-waste found from mobile phones. Stunning. Designer Chloe B Fortin utilised 65 metres of stripped copper wire in this floaty creation which then strung together 2500 damaged Christmas lights in long chains inspired by Buddhist prayer beads. 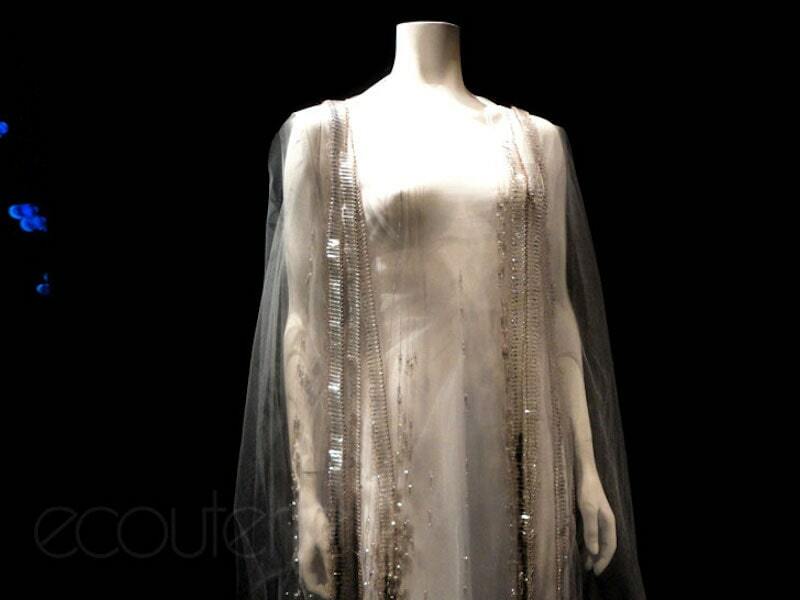 The piece was entered as part of a Montreal exhibit which turned post-consumer trash into high end fashion and the detail has to be seen up close to be believed! Did you know there is approximately 800 times more gold in one ton of motherboards than there is in one ton of ore mined from the earth? Yup. Proving that luxury doesn’t have to come at the cost of sustainability (and that sustainability doesn’t have to come at the cost of aesthetics) is this gorgeous range of re-purposed gold e-jewellery by US tech company Dell. The recycled material is smelted into gold bars and delivered to partnering jewellery brands to shape into ornate, wearable designs. 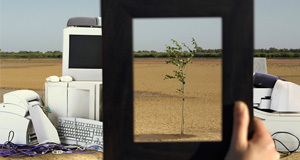 The Circular collection was devised to encourage the public to appreciate the value and potential use of electronic waste, as well as to promote active recycling. Plus, it’s gorg. Win/win! These uber-modern statement pieces are by Chilean architect Marcela Godoy, an Artist in Residence at The Lower East Side Ecology Centre’s electronics recycling facility in Brooklyn. 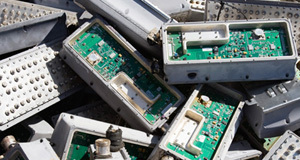 The Centre’s E-Waste Warehouse collects hundreds of thousands of kilos of unwanted and broken electronics from residents across New York each year. Marcela then selects electronic components that people drop off there, to experiment and create wearables made entirely out of electronic wires and plugs. We had trouble picking just one to include on this list! 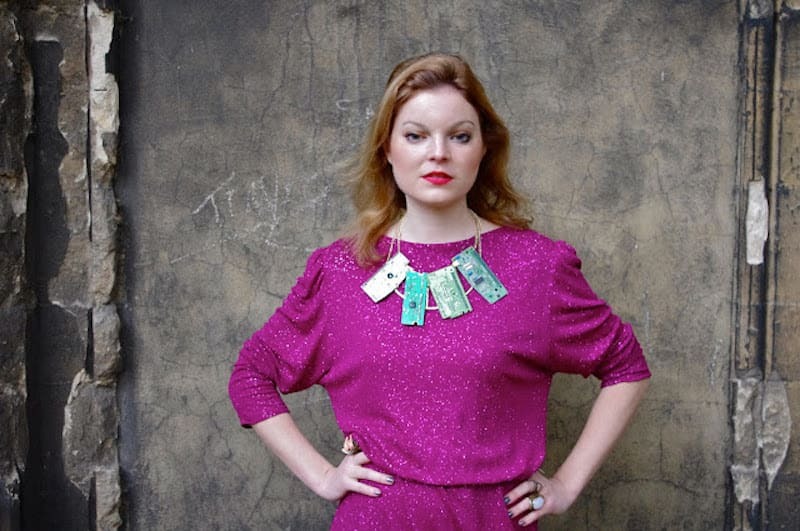 If you are after recycled jewellery that doesn’t look like what it is, then Lylie’s, an innovative London based start-up, is probably the place to investigate. This innovative company turns recycled e-waste into stylish pieces of jewellery like these gorgeous fat silver hoops. Eliza Walter, the young entrepreneur and the founder of Lylie’s, sources all the materials for her collection from e-mining landfill sites, which probably sounds a lot easier than it actually is. 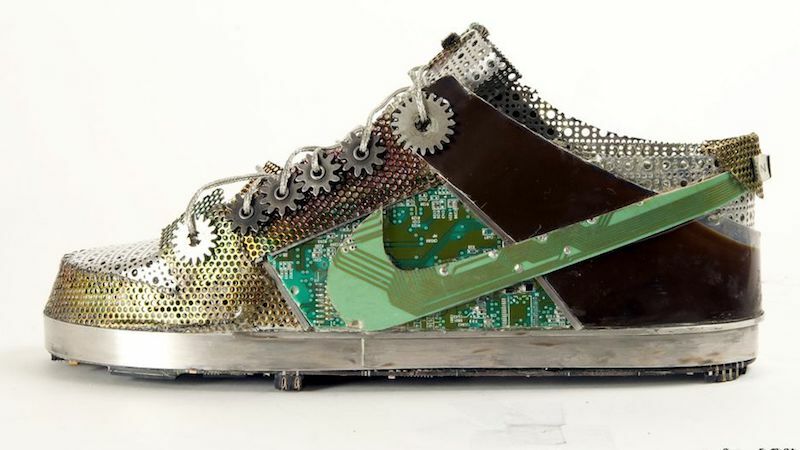 So … “wearable” might be a bit of a stretch with these ones (unless you are into some SERIOUS blisters) but they’re so darn cute we just had to include these junk metal Nikes by famed ewaste artist Gabriel Dishaw. And who knows? Maybe one day we’ll be able to pop down to Rebel Sport and grab our very own pair. 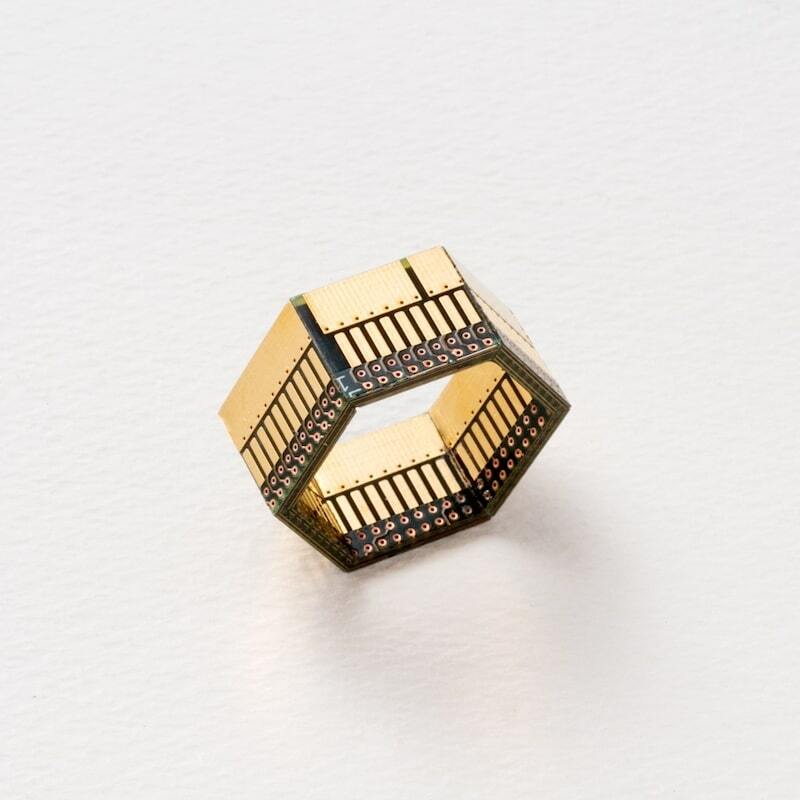 We love this ewaste ring by Japanese designer Yuma Fujimaki so much we want to marry it and have little ewaste ring babies. Made from pieces of circuit board and containing real gold, this exquisite range will make you look all kinds of awesome AND provide a nice sharp edge in a fistfight. In self defense of course. Bonus! These self-described ‘unique geek wearable earrings’ by Indian sculptor and jewellery designer Vishwanath Davangere Mallabadi deliver exactly what they promise. 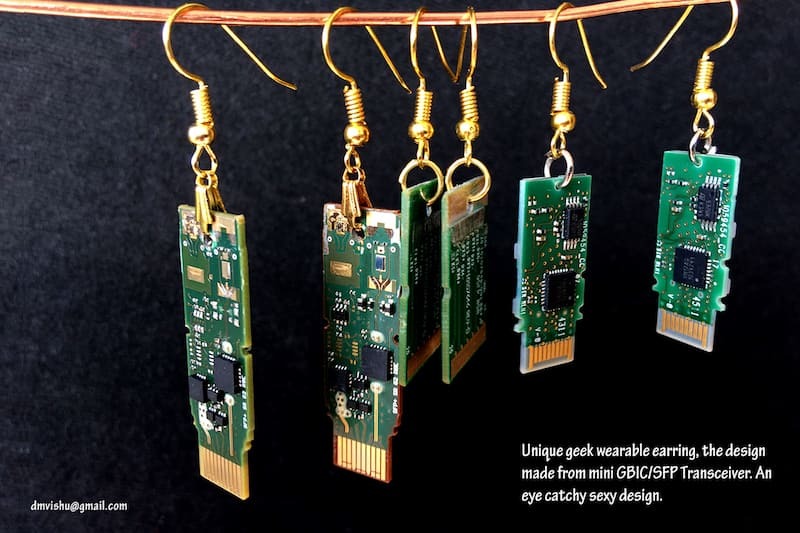 Definitely one for the forward-thinking, these green danglies are made from mini transceivers and are designed to let the world know that wearable ewaste is here to stay.